Our trial frame UB 4 features a super lightweight and user-friendly design. An ergonomic design, easy to reach knobs for PD and nose piece adjustment complete this handcrafted trial frame. The UB4 trial frame is an essential part of a custom refraction. 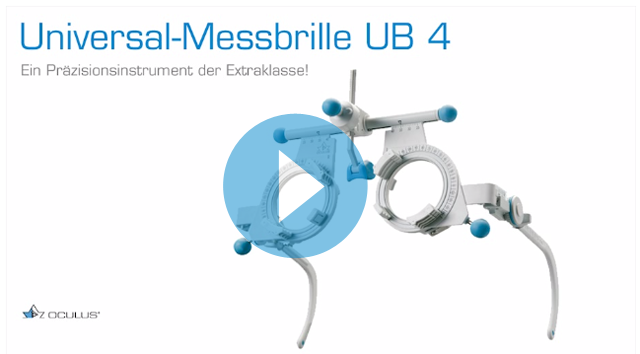 This universal trial frame is handcrafted with great details at the manufacturer in Germany and is controlled by a very strict quality management system. There is no more information for this product. 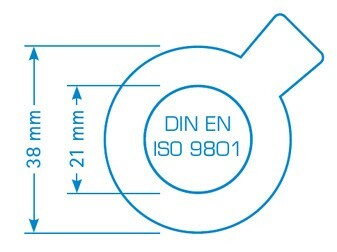 Trial lenses according to DIN EN ISO 9801 with a rim diameter of 38 mm (lens diameter 21 mm), such as the OCULUS trial lens "tl" (trial lens), are compatible with the Universal Trial Frame UB 3, UB 4, UB 4 höhenverstellbar, UB 6 and practice frames. * Price excludes local sales tax, customs fee, shipping and handling costs. Free shipping on all orders over USD 250.00, excluding handling fees. Prices are in US dollars.